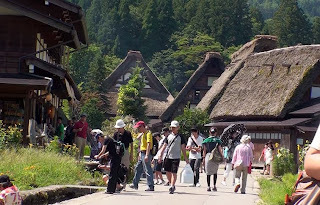 Shirakawa-go's largest village and main attraction. From Nagoya, it goes through Tokai Hokuriku Expressway. A nearby interchange is "Shirakawa-go"
A car is parked in a parking lot. If a bridge is crossed, there is a village. Gassho-zukuri house can be seen. The old private house is built everywhere. That will be because this is world heritage. 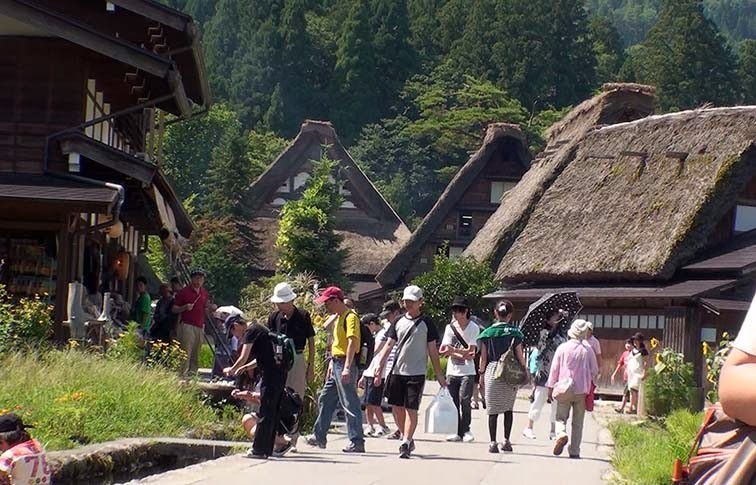 There are also a lot of foreign tourists. 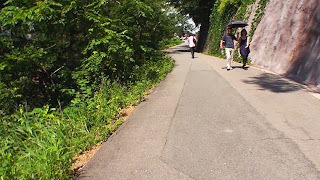 We can approach a Gassho-zukuri house. The house has a restaurant or a shop inside. In such a house, we can go into inside. There is also a house in which people live. In such a house, we cannot go into inside. The scenery seen from a distance is also wonderful. There are a rice field and a field. The flower is in bloom. Good scenery can be enjoyed. The north side of the village. They are ruins of a castle. I recommend to go here. 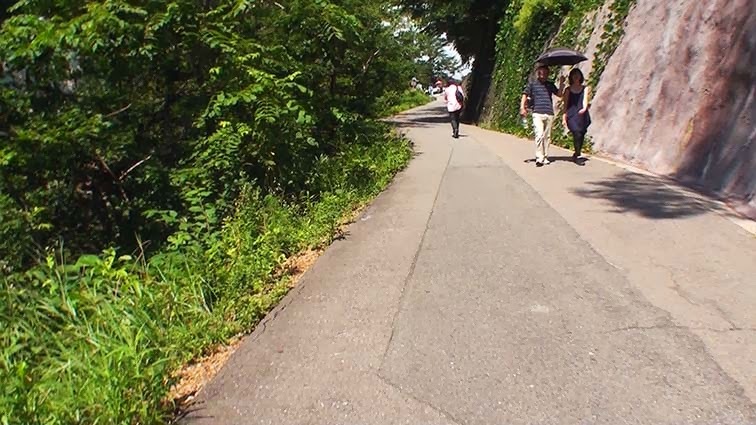 It is an ascent hill. The village can be overlooked from an observatory. It is the scenery seen with the photograph. There is a value in going there. Return is a downward slope.